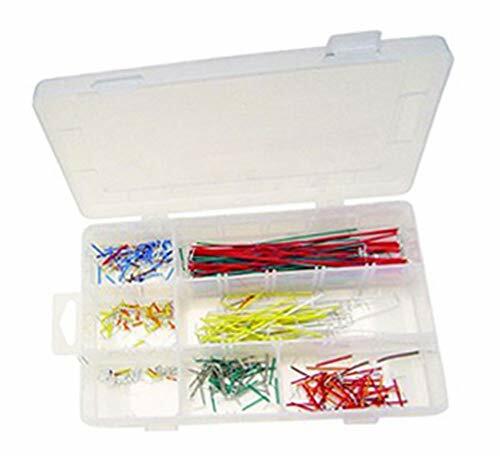 This Item Includes a Case of One (1) lot of 350 pre-formed male-to-male solid jumper wires; One (1) compartment plastic case; Product Description The jumper wire kit contains 350 pieces of pre-stripped, pre-formed, male to male solid jumper wires in various lengths and colors. The wires are contained in a compartment plastic case. The wires are designed to work with breadboards or anywhere jumper wires are needed.